90% of games have the option to purchase something. thats just the way it is. that is not what complaint is. is that the p2p can advance much more rapidly than f2p. there should be a way to seperate them…different servers seems simple enough. I’m pretty sure Wisconsin is the state of the game. What’s with all the responses? If only I knew hoo you were in game. 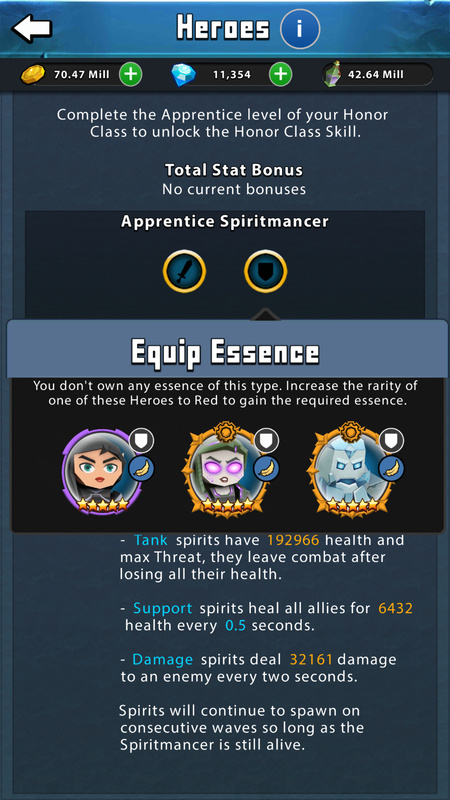 And to get the essence you need more red hero’s is how you get the essence you need for 1 hero. I don’t understand what you’re saying here, I’m server 4 so maxed out at orange+7 rarity, so you’re sentence is doubly confusing for me to understand lol! Please try to explain it to me like I’m a 6yo…tia! When you promote a hero from Orange+8 to red, it produces ONE fixed type of essence. When a hero becomes red, you can attach essences to them to unlock their honour skills. Damage can be warlock or warlord. Each of these honour skills has a fixed recipe, depending on the aspect and role of the hero. The recipes require TWO essences at this level. The essences that you need for your favourite heroes to unlock their honour skill will inevitably involve you having to mindlessly grind heroes through the horrible Orange+8 section that you will never use again. But wait… surely you can get extra essences from somewhere else, right…?? Buying them by having enough resources to place in the top 3 / 5 / 10 players in contests. So… You Want more than a handful of honour skills? 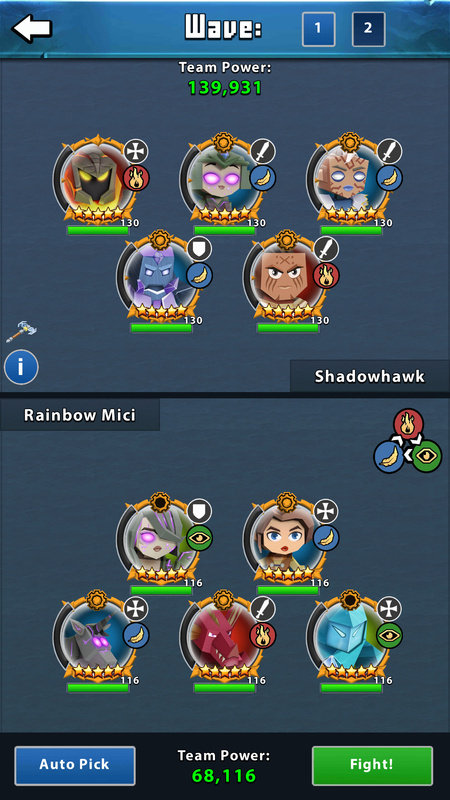 When Red+1 comes… Will we be getting another essence for promoting a hero? Sooooooooooooooooo… That’s another way to get more essence… Keep grinding and wait till you can promote more heroes in next rarity update. Which would be due before the end of the year? Or just after perhaps? With red+1, heroes need new essence to upgrade skills. I’m kinda guessing it will be more than the amount that you get for promoting a hero. Odds are it’ll be 1 from promoting and 2 for the next skill. 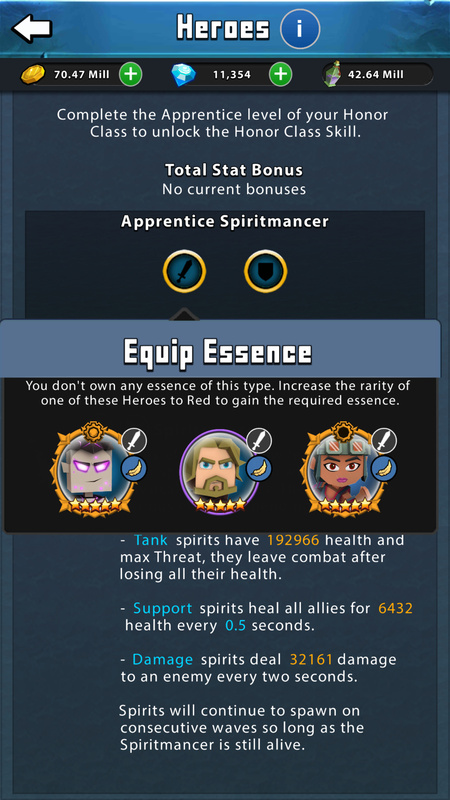 I would love it if you got 2 essence for reaching red +1 for each hero, and it was 3 essences to attach the next level of skill. I can’t take this for much longer… I just can’t. I can’t plan ahead, cause I have no idea who needs what, and who gives what, and the heroes I want to use are getting weaker and weaker. I’m absolutely sick of this! I haven’t used any of my essences, I would have thought that Tempest would have given me one that Pony needs, so either that’s not the case, or I’m missing a freaking essence. OK I have a better idea why not have all the non cashiers on a special server and all the cashiers on only cashier servers this way others could catch up fight others on there server and have a chance and enjoy the Game. @Pixie_Mici If I understand correctly, Red raririty is officially the worst addition for small spenders and f2p players. Im on server 4, o+7 rarity and I spend a small amount each month. Even if I have only 7 frontline and 10 backline at orange+7, Im still able to be competitive. I did drop some heroes over time (like getting panther instead of claw, wish I made that move sooner ). I move between platinum 1 and challenger in arena, Im moving to gold 2 in tournament and my total power is about 525k. Why I was able to do that ? Only because I could GRIND my ressources and not upgrading a lot of heroes (trust me I gave up on a lot of good heroes) . When a new raririty is release, I can grind and catch up before the new one. But with red, I will be able to get only 2-3 heroes with honor skills because I cant afford to promote “useless” heroes to get my essences. That means as soon as red comes in server 4, I cant compete anymore even if I was able to do that until o+8. Unless the accessibility of essences change in the future, red raririty will be the reason why I stop paying and eventually playing. Hmmm… what about the players who decide to stop paying? I will stay in my guild and play. But as you say, we are at Orange+7 now, and I am almost 15 levels off the pace. But with red, I will be able to get only 2-3 heroes with honor skills because I cant afford to promote “useless” heroes to get my essences. That means as soon as red comes in server 4, I cant compete anymore even if I was able to do that until o+8. That’s exactly the issue in a nut shell. I lead a pretty decent guild and we have a diverse range of spenders and non spenders. Red has hurt my lower powered but smart players so much because up until now they were able to prioritize and keep up only the most relevant of heroes. That’s a lot trickier to do now. I think pb has made some decent balance changes since red came out; but ultimately essence, or lack of, is a pretty big roadblock for low spenders.